Gather family and friends and enjoy a special Christmas meal together. From Italian-inspired “Feast of the Seven Fishes” dinners on Christmas Eve to a bountiful brunch on Christmas Day, here are GAYOT’s Top Christmas Restaurants in Los Angeles, presented in alphabetical order. 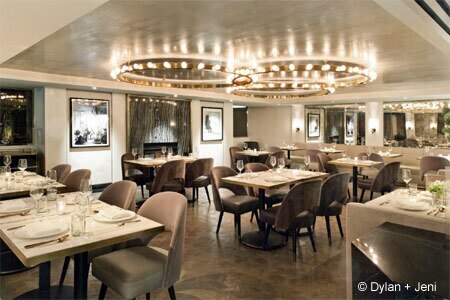 Beverly Hills, CA Avec Nous , the modern French bistro at Viceroy L’Ermitage Beverly Hills, will offer a prix-fixe menu on Christmas Day. Indulge in roasted chestnut soup, Colorado lamb stew and panna cotta. 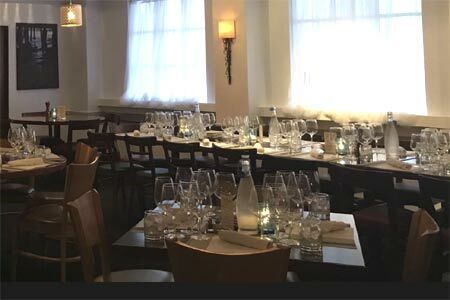 West Hollywood, CA French-inspired Barbette in West Hollywood will offer a prix-fixe dinner on Christmas Day ($55 per person) that includes a choice of beef bourguignon or vegetable pot au feu, shared vegan sides, and for dessert, bûche de noël. On Christmas Eve, guests may choose from dinner menu selections and also holiday specials, such as stuffed quail, pomegranate, Brussels sprouts and sauce soubise. 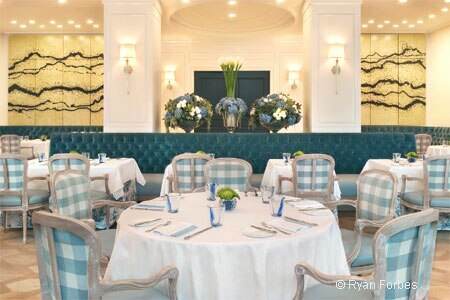 On Christmas Eve, executive chef David Codney of The Belvedere at The Peninsula Beverly Hills will offer a multi-course dinner with dishes such as seared scallops and prime rib of beef ($148). Christmas Day will feature a family-style set menu ($140, including free-flowing Nicolas Feuillatte Champagne) with duck confit rillette, turkey and sage stuffing, and more. 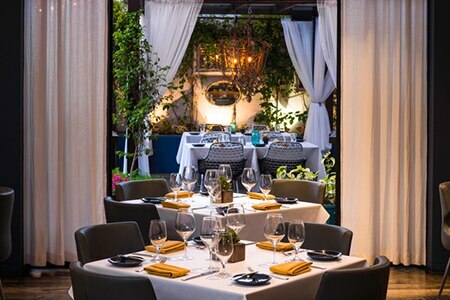 Beverly Hills, CA THE Blvd ’s four-course Christmas Eve menu ($165+ per person) includes choices such as lentil velouté with crème fraîche and caviar, and beef cheeks with béarnaise sauce. Dishes on the three-course Christmas Day menu ($99+ per person) range from Parmesan-crusted filet mignon to bûche de noël. RESERVE NOW! 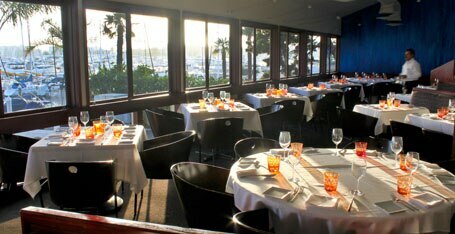 On Christmas Eve, Cafe Del Rey in Marina del Rey presents a four-course prix-fixe menu ($69 for adults, $35 for kids). 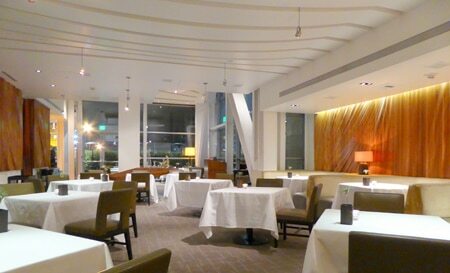 Café Pinot offers downtown dining featuring glittering views and California cuisine. Christmas Eve will bring à la carte holiday specials to the menu, among them chestnut agnolotti ($20); rotisserie Jidori chicken for two ($90); and spiced brioche, pumpkin mousse, pecan and Medjool dates ($12). 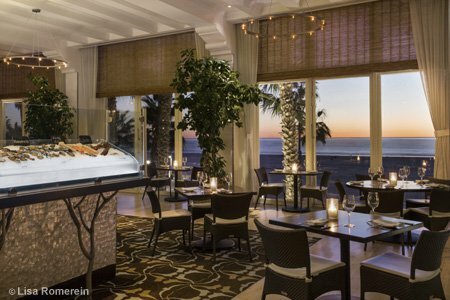 Santa Monica, CA Catch at Hotel Casa Del Mar will offer Christmas Eve and Christmas Day diners a special menu ($110). The latter will present choices such as crab cake Benedict, slow-roasted prime rib, and warm pecan tart with vanilla ice cream. RESERVE NOW! 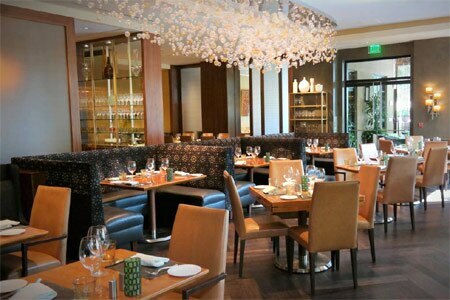 West Hollywood, CA Sofitel Los Angeles at Beverly Hills will offer a buffet on Christmas Day ($65 per person; $30 for children 12 and under) that will include dishes from its restaurant, Cattle & Claw. Guests can feast on slow-roasted goose, baked halibut Provençal, lobster mac and cheese, short ribs pappardelle, and for dessert, yule logs and more. RESERVE NOW! Long Beach, CA Chelsea , the Queen Mary’s chowder house and bar, will offer a four-course menu on Christmas Eve and Christmas Day ($48 per person). Among the choices on Christmas Eve are brown sugar glazed ham and eggnog crème brûlée, while Christmas Day will bring a roasted turkey dinner and peppermint chocolate crème brûlée. RESERVE NOW! 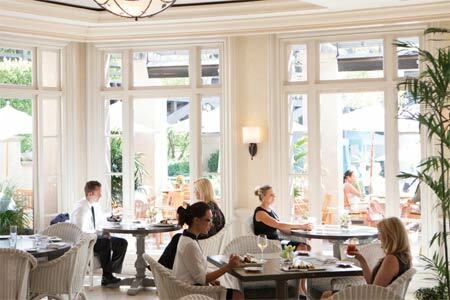 Chez Mélange houses three different dining concepts: Sea Change seafood restaurant, Bouzy gastropub and Oyster Bar. On Christmas Eve, a special three-course prix-fixe holiday menu with multiple choices will be offered for $55 per person. 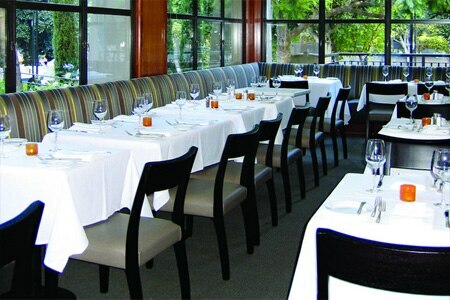 Beverly Blvd./Third St., Los Angeles, CA Culina Modern Italian in the Four Seasons Hotel Los Angeles at Beverly Hills will host a four-course prix-fixe dinner ($89 per person) on Christmas Eve. The Christmas Day brunch buffet ($135 adults, $69 for children ages 5-12, complimentary for children 4 years and under) will be loaded with ham, salads, seafood (oysters, king crab, house-made sushi, etc.) and desserts. 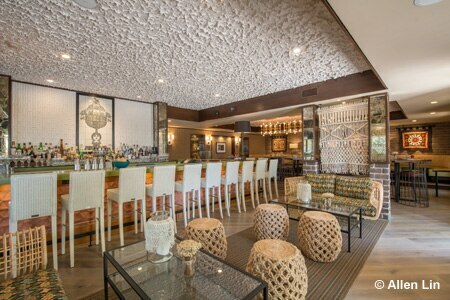 The Front Yard, located at The Garland hotel in North Hollywood, will offer a buffet-style meal from noon-8 p.m. on Christmas Day ($59 for adults, $29 for kids 12 years and under). Indulge in a golden beet salad, garlic grilled broccolini, buttermilk and rosemary brined turkey, and chocolate mousse cake. 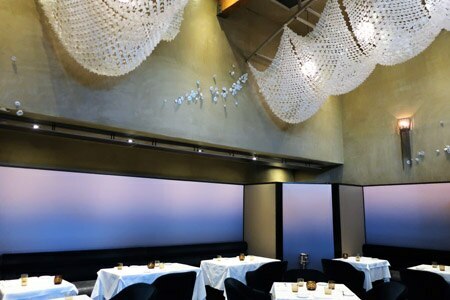 Indulge in a special holiday feast at Jean-Georges Beverly Hills. On Christmas Eve, a three-course menu will be offered for dinner ($165 per guest, $80 for children), and there will be a meal on Christmas Day ($155 per guest, $75 for children). 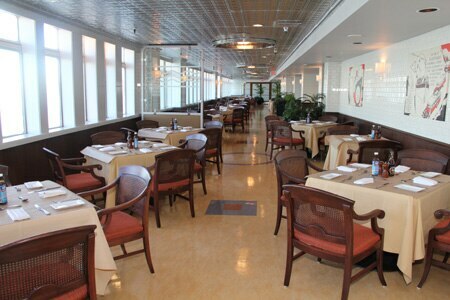 Enjoy dishes such as Wagyu beef carpaccio, spice-crusted squab and Maine lobster. Larchmont, Los Angeles, CA Yellowtail crudo, spice-rubbed holiday ham and eggnog gelato are a few of the festive dishes to be served family style at Kali on Christmas Eve ($75 per person). RESERVE NOW! 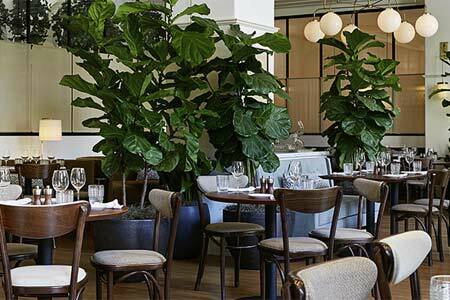 French restaurateurs Fanny and David Rolland bring French cuisine to downtown Los Angeles in a grand décor. The Christmas Eve dinner menu ($85) lists treats ranging from filet mignon and homemade truffle gnocchi, to the Black Forest dessert (dark chocolate mousse, “Diplomate” kirsch Chantilly, cherry kirsch, chocolate Christmas trees). 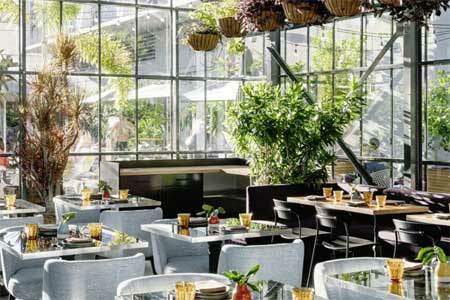 A multi-course Christmas menu ($55 per person) will be available at Mari Los Angeles at InterContinental Los Angeles Century City at Beverly Hills. Savor fare like salmon rillettes; lamb osso buco with a wild mushroom mélange, potato gratin and lamb jus; and black cherry bûche de noël. 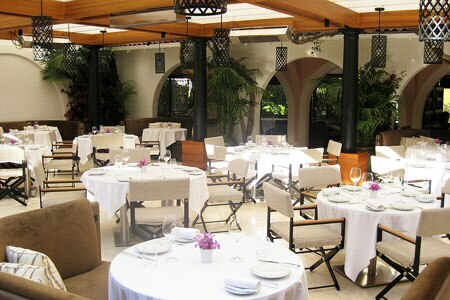 Marino Ristorante offers classic Italian cuisine from a prominent family of L.A. restaurateurs. On Christmas Eve, celebrate the season with a Feast of the Seven Fishes meal. 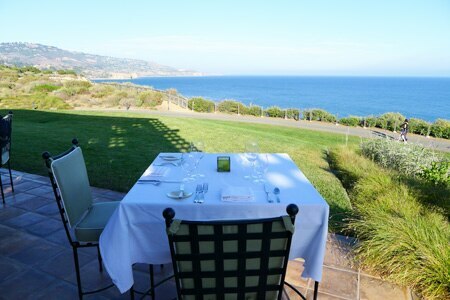 Rancho Palos Verdes, CA Make the holidays memorable with a meal at mar’sel, Terranea Resort’s fine-dining restaurant overlooking the ocean. On Christmas Eve, enjoy a three-course menu. A five-course menu will be offered on Christmas night ($155 per person; add $85 for premium wine pairing, add $150 for reserve wine pairing). RESERVE NOW! 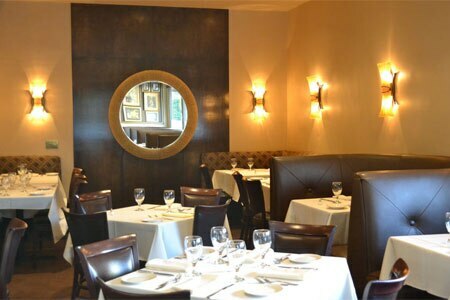 Beverly Hills, CA Nerano in Beverly Hills will recognize the Italian Feast of the Seven Fishes via a range of à la carte dishes offered on Christmas Eve. Consider the manila clams chowder ($18); squid ink tonnarelli with king crab, bottarga and chives ($38); and risotto with baby zucchini and roasted scallops ($39). 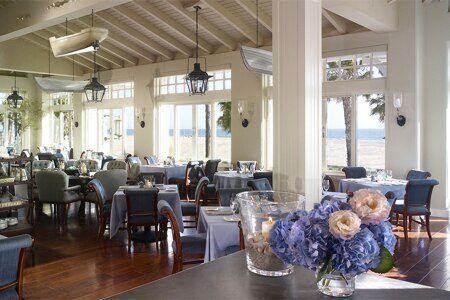 Fresh and light cuisine is offered in this highly romantic, oceanside hotel dining room. In addition to a Christmas Eve dinner menu ($110), One Pico will offer a brunch ($110) and dinner ($110) menu on Christmas Day. 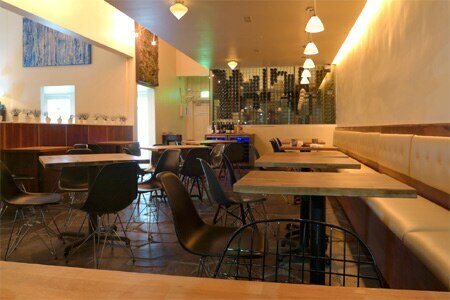 Koreatown, Los Angeles, CA The Line Los Angeles hotel collaborated with chef Josiah Citrin on Openaire. 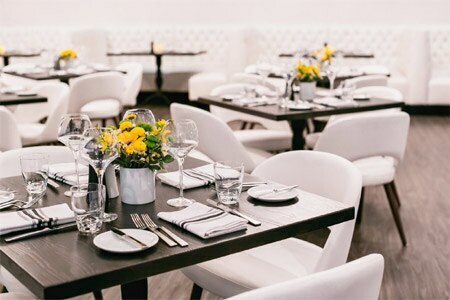 Head to this Koreatown restaurant on Christmas Eve or Christmas Day to enjoy a special holiday menu ($65 for adults, $35 for children) offering choices ranging from chestnut ravioli with mushrooms, brown butter and sage to beef Wellington, and bûche de noël. RESERVE NOW! 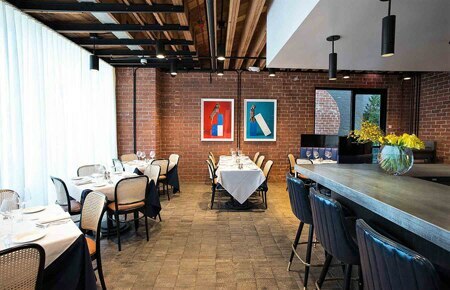 Four-course ($110) and six-course ($160) menus will mark Christmas Eve dining at Patina, located on downtown LA’s Grand Avenue. Either option will allow guests to indulge in chestnut cavatelli, Millbrook Farms venison and bûche de noël. This fine-dining destination for seafood in Los Angeles celebrates Christmas Eve by offering a Feast of the Seven Fishes menu ($160 / $230 with wine pairing, per person). Enjoy California spiny lobster in brodo, calamari alla bolognese and more before capping the meal with chestnut yule log. 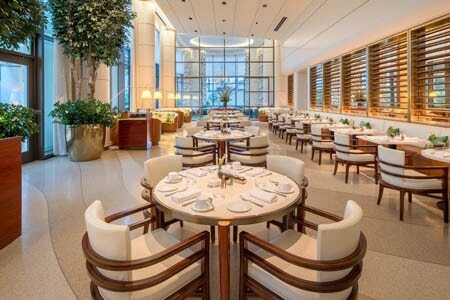 Beverly Hills, CA The Restaurant at Montage Beverly Hills will celebrate Christmas by offering guests a number of dining options on December 24 and 25. Christmas Eve: Enjoy a four-course prix-fixe dinner menu ($105 per person, $39 per child age 4-12). Christmas Day: A brunch buffet ($128 per person, $39 per child age 4-12) is available, as is a four-course prix-fixe dinner menu ($105 per person, $39 per child age 4-12). RESERVE NOW! 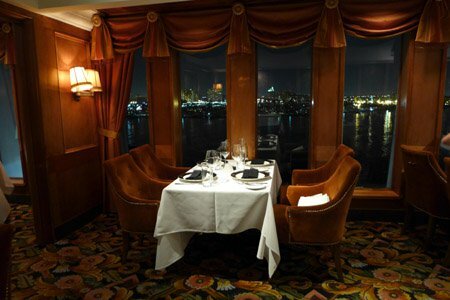 Long Beach, CA Located aboard the historic Queen Mary, Sir Winston’s will offer a five-course menu on Christmas Eve and Christmas Day ($79 per person). On either day, guests will choose from temptations like roasted prime rib and red velvet chocolate ganache. RESERVE NOW! Tavern, Suzanne Goin and Caroline Styne’s Brentwood restaurant, presents a Feast of the Seven Fishes menu on Christmas Eve ($85 per guest). Among the dishes are charred Spanish octopus, grilled branzino, and limoncello meringata (Meyer lemon ice cream and splash of Prosecco). 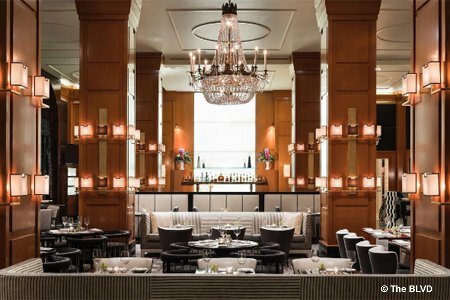 Pasadena, CA The Terrace at The Langham Huntington, Pasadena, will host holiday guests on Christmas Eve when it offers a three-course prix-fixe dinner accompanied by live entertainment ($85 per person without wine, $120 per person including wine; $45 per child under 12). A dim sum brunch with sparkling wine awaits diners on Christmas Day ($78 per person, $44 per child under 12), as does a four-course prix-fixe dinner accompanied by live entertainment ($85 per person without wine, $120 per person including wine; $45 per child under 12). RESERVE NOW! 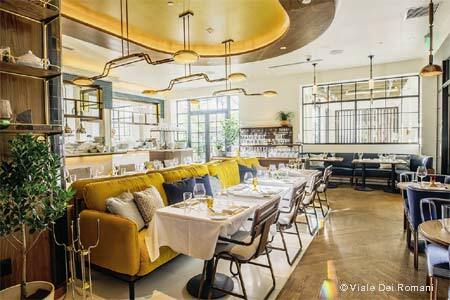 West Hollywood, CA With chef Casey Lane at the kitchen’s helm, Viale Dei Romani at Kimpton La Peer Hotel will offer a family-style three-course prix-fixe menu on Christmas Day ($75 per person, $45 for kids 12 and under; available for lunch and dinner). 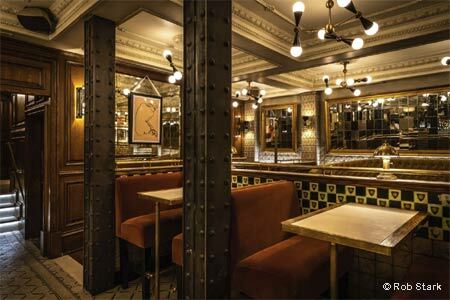 Expect dishes such as wood-roasted duck with Calvados gravy, and spiced layer cake. RESERVE NOW! 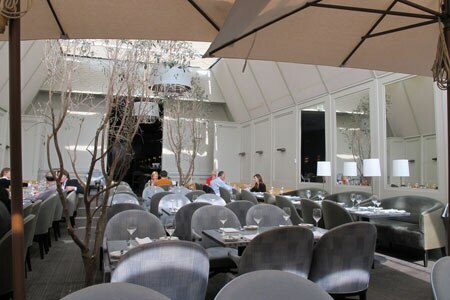 At Wolfgang Puck at Hotel Bel-Air, Christmas Eve dinner guests will be presented a four-course menu that includes a yule log dessert ($195 per adult, $65 per child under 12). 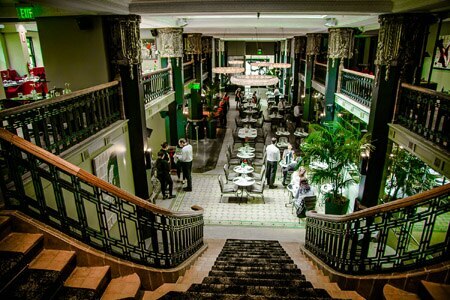 Christmas Day brings a three-course brunch ($195 per adult, $65 per child under 12).